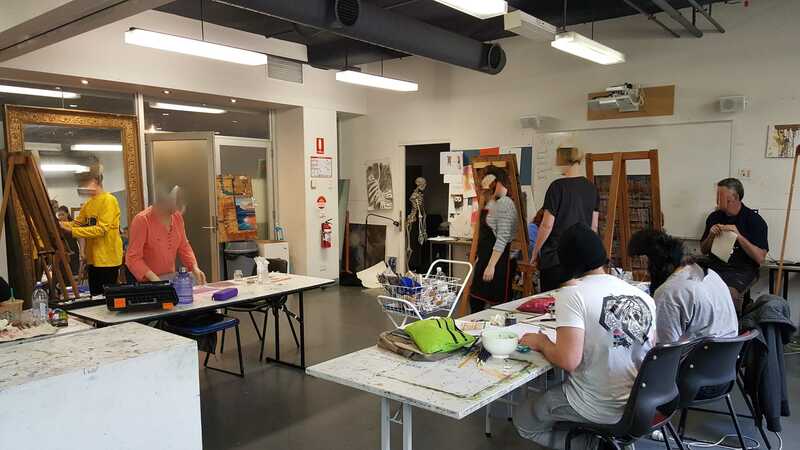 My 7th class in ‘Produce Paintings’ and ‘Produce Drawings’ (these being subjects that are part of ‘Certificate III in Visual Arts’) was once again another day full of creative adventures! My ‘Produce Paintings’ class is always a challenge for me where I am constantly trying to master the process of painting with oil paints. My ‘Produce Drawing’ class I find less frustrating, and more enjoyable at this point in time. Both classes are certainly helping me to stretch my existing creative skills. 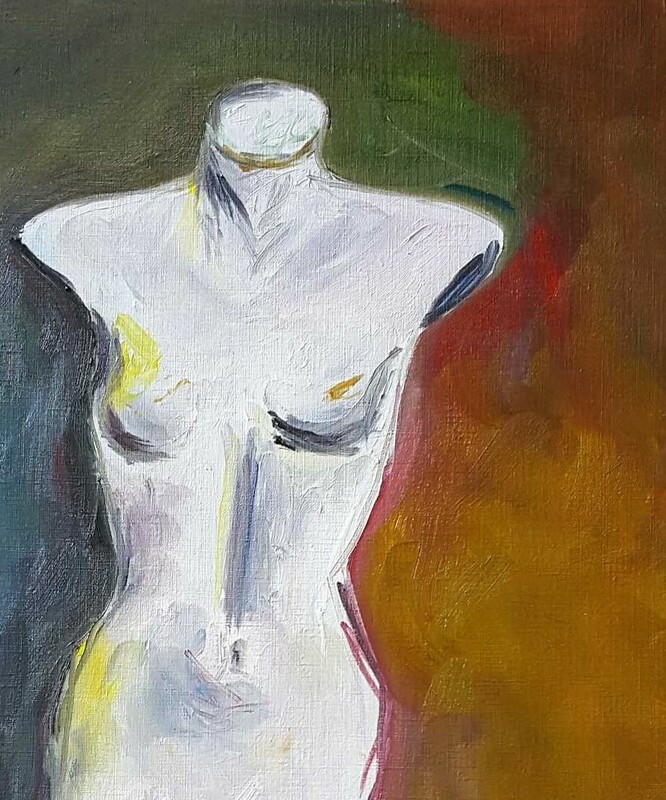 These classes also assist me in paying attention to my overall sense of well-being – art for therapy at its best I feel! NB: To view my blogs about previous classes, please click on the given links here – Classes 1, Classes 2, Classes 3, Classes 4, Classes 5, Classes 6. 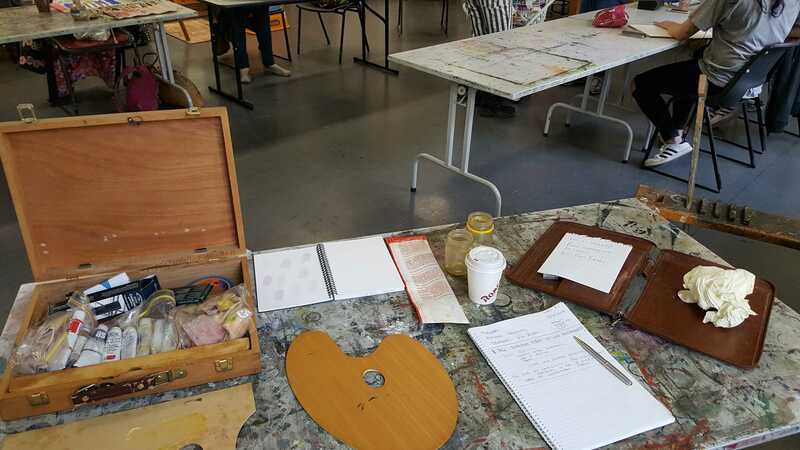 In relation to this week’s classes 7 for ‘Produce Paintings’ and ‘Produce Drawings’ – please scroll down below to view. Our ‘Produce Painting’ class commenced with our teacher, VIN RYAN, checking in with each of the students individually. 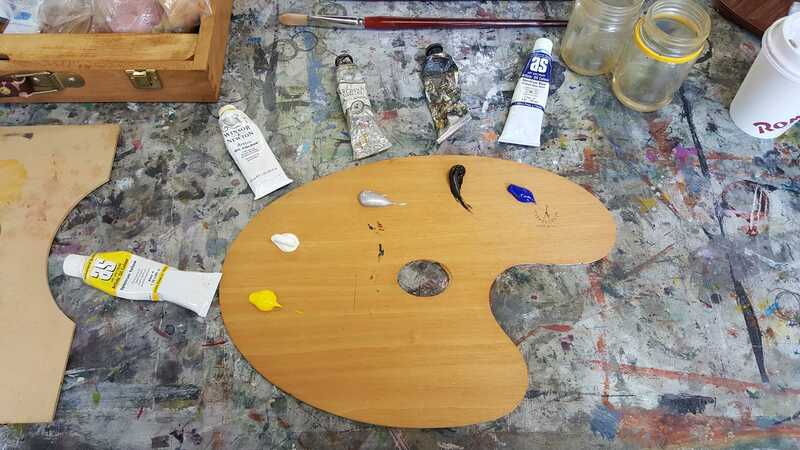 Firstly I set up my painting work bench in readiness to start a new painting for this class. 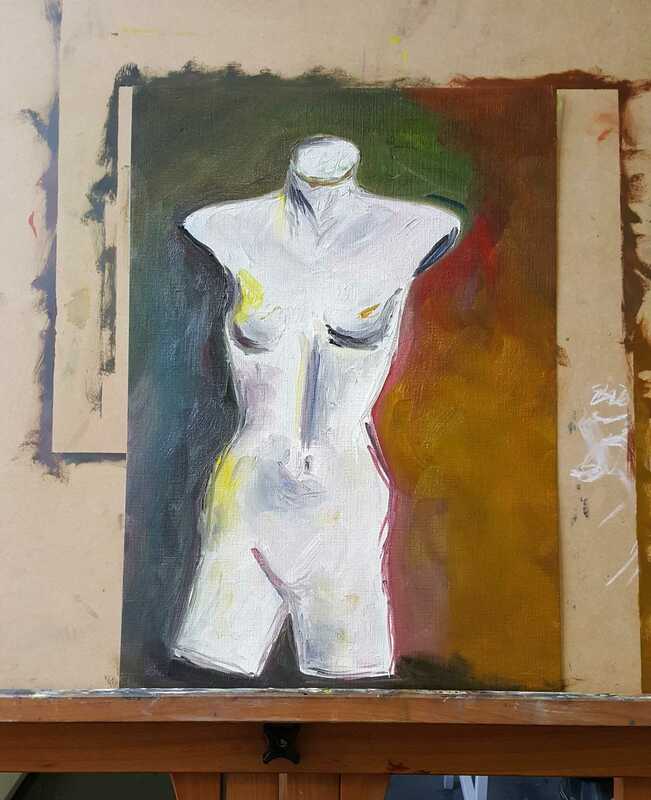 I hadn’t prepared my thoughts on what to paint for this class before arriving, so it was up to me to hunt around throughout the class room to find something of interest, as a source of inspiration for this week’s painting exercise. 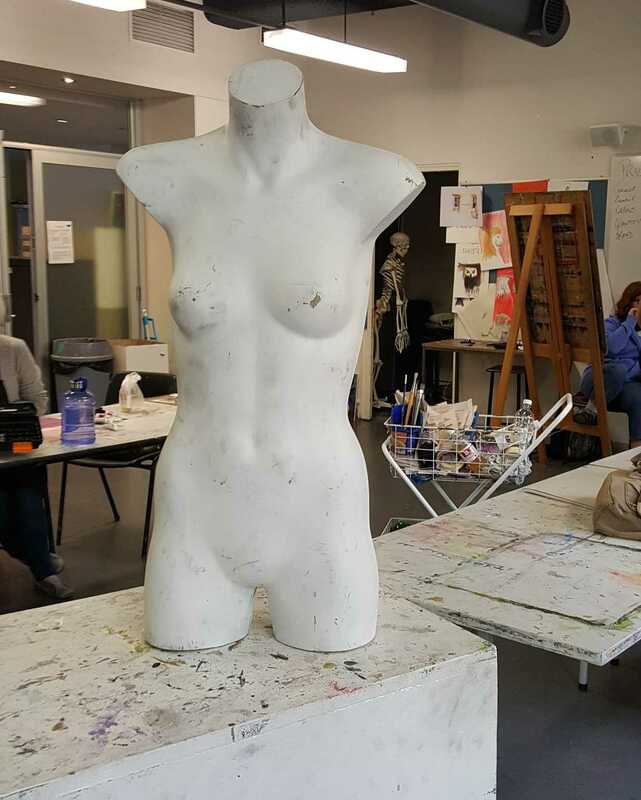 I found a white bust in the art room and thought it would make a good source of inspiration for my painting this week. Spectrum Red – NB: Which I add to my colour palette based on the teacher’s recommendation. It wasn’t as easy as I thought it would be to paint the white bust. There’s a lot that is not quite right with my white bust painting, but it was great trying to make it work. The part, I have to confuse, I loved doing the most is actually the background, where I gave myself the opportunity of blending paint colours left over on my palette, which I used to fill in the back ground. Loved seeing how the oil paint blended, glossed and how it moved around on the canvas paper itself! Our ‘Produce Drawing’ class commenced after our lunch break. This gave me a chance to recharge after the ‘Produce Painting’ class. The teacher, TIM JONES, had our class head off out of the class room. 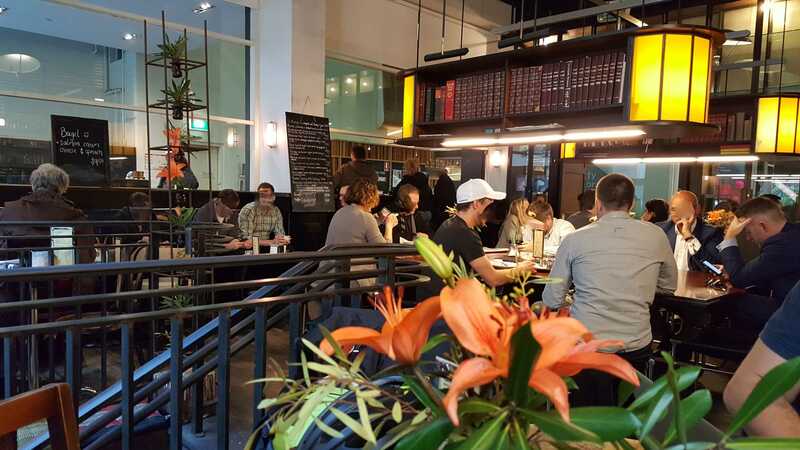 We walked towards Melbourne’s city centre to Federation Square. It was a beautiful sunny day and our instruction was to find a spot were we could engage ourselves in doing an observational drawing. 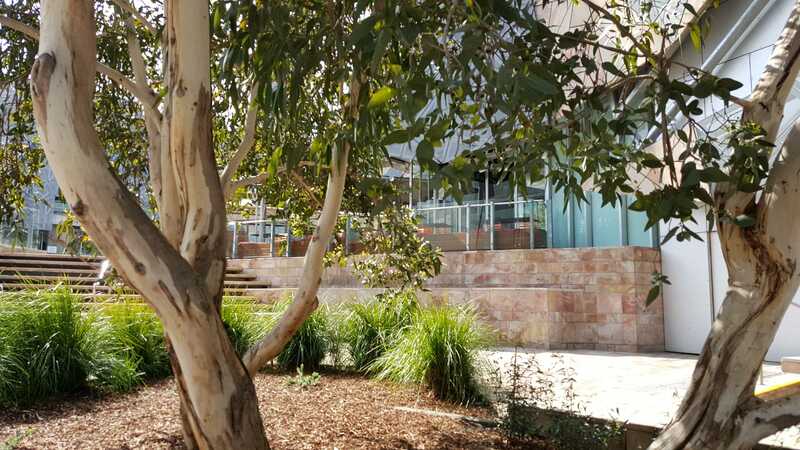 I chose a quiet spot under the shade of some Australian Native Gums Trees. This small garden became my source of inspiration for my observational drawing. My drawing was quick and I really only just sketched in the basics. The above drawing I did at home the next day. Knowing we have to have a number of drawings for our portfolio – I decided to sketch up a view of my front garden. 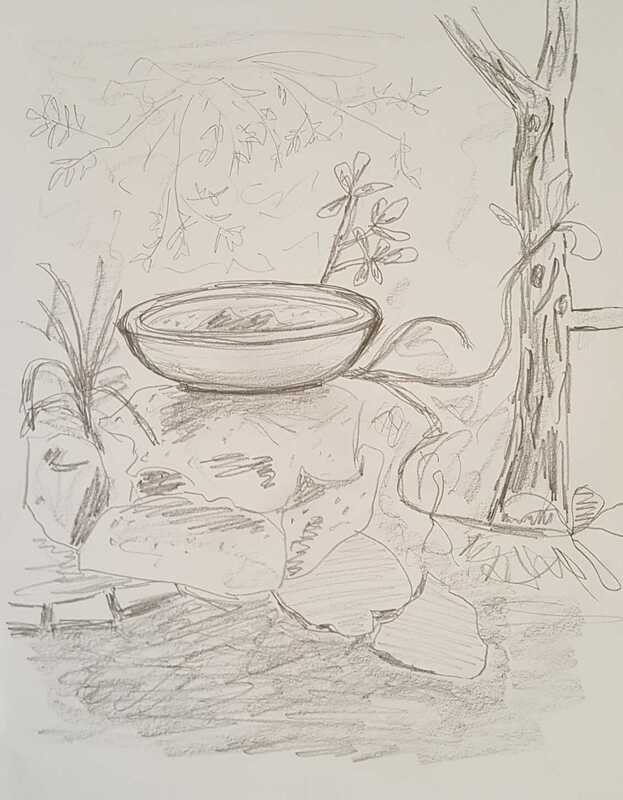 Once again – just a quick sketch with the bird bath as the main feature. The vase drawing above is another sketch of an object which I will be adding to my portfolio. I can see it is a little wonky on the right hand side and the jar opening doesn’t seem to match the width of the actual jar but I am happy still with the result. 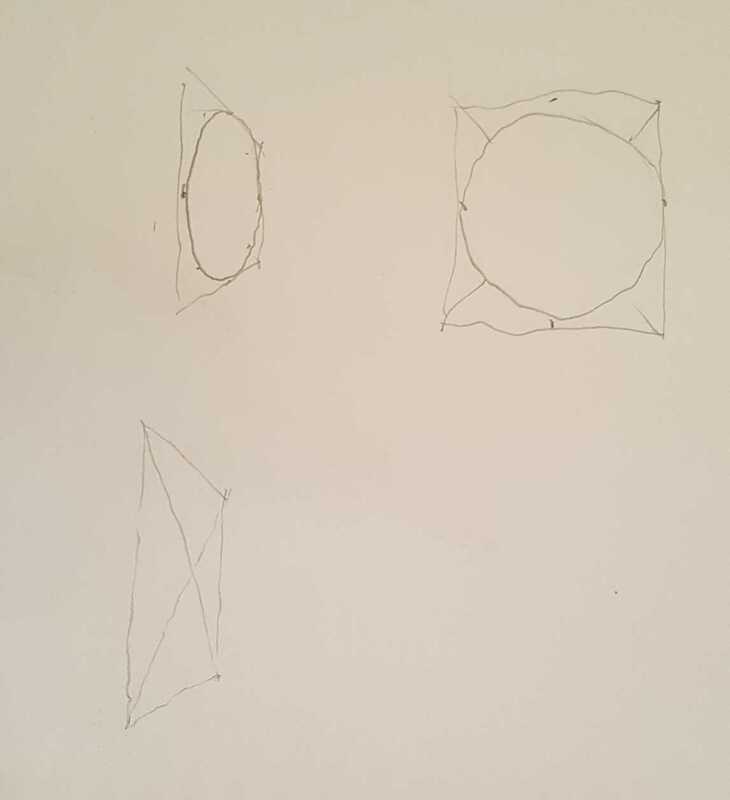 Part of our requirements as art students is to keep a ‘Produce Drawings’ visual diary and here below are a couple of drawings that I have added this week. 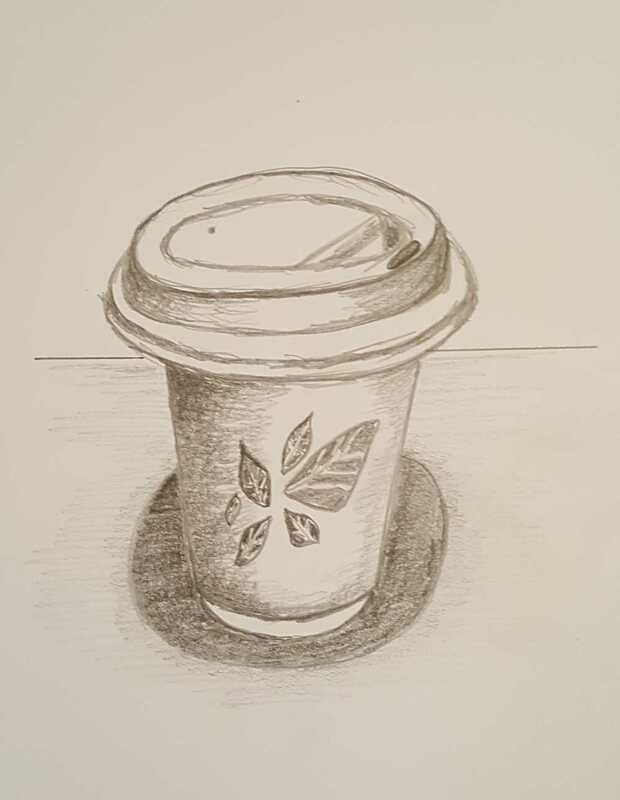 This drawing above of the take-away coffee cup I actually didn’t do at home. I did this drawing whilst waiting to do my volunteer speaking at a Road Trauma Awareness Seminar. I wouldn’t normally do such a thing as draw or sketch during such a time being usually a period of 90 minutes waiting before speaking. But I must say, it was helpful for me as I was still able to concentrate on what was being said and able to create a drawing for myself. Ticked the happy box for me! My take-away coffee cup top is a little wonky and after showing my drawing teacher the drawing, Tim said he liked it anyway which made me happy. Tim then did a little sketch showing me how I can combat this problem in the future re: above sketch from Tim. 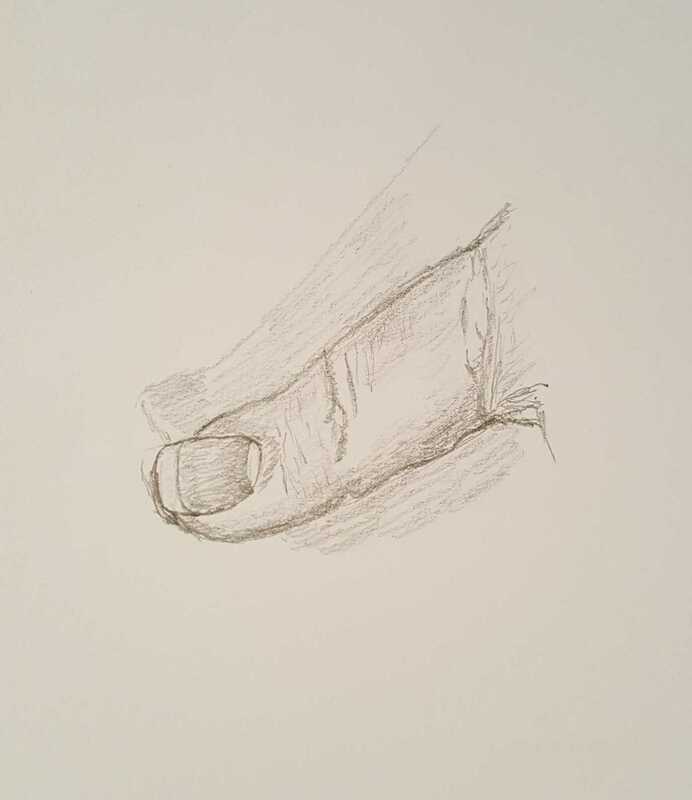 When we got back from our walk to Federation Square, I did a quick drawing of my thumb, just to fill in a little time before the end of class. 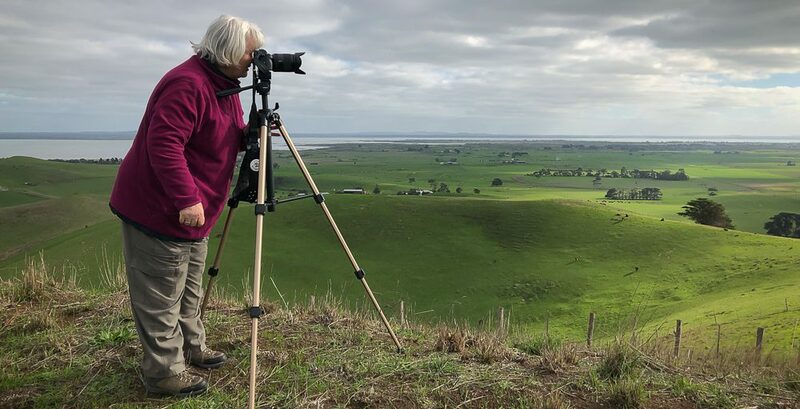 My Creative Writing Facilitator friend, Judy Bird, recently brought to my attention one of ‘The School Of Life’s’ YouTubes about ‘why we should draw more and photograph less‘. It was published on 24th June, 2015 and talks about how “our cameras make it so easy to feel we’ve captured what’s important in the world. But to really appreciate what’s around us, we might need to learn a weirder, less technologically-advanced skill: drawing” (School of Life 2015). 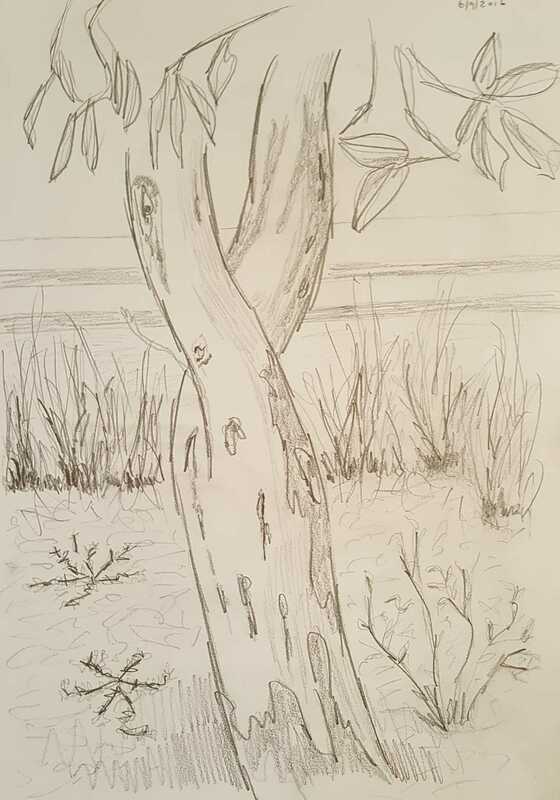 What I have come to understand is that when we stop to draw, we stop to appreciate, stop in our rush to get somewhere, stop to take a moment to take a breath and just be, which in turn is good for our sense of well-being thus using art for therapy! Am always feeling very fortunate in being able to participate in these painting and drawing classes. My early morning train journey into the heart of the city of Melbourne via Flinders Street Station and being able to soak up the ambiance of Degraves Street itself during my class break; and the walk today to Federation Square – very much adds to the overall pleasure of the day’s creative outcomes. Art for therapy at its best for sure…. This entry was posted in CAE Cert III Visual Arts, My art and tagged Certificate III in Visal Arts, Degraves Street, Drawing Classes, Drawing with Pencil, Federation Square, ido art karen robinson, Karen Robinson, Oil Painting, Painting Classes, Photograpy, Tim Jones CAE Drawing Teacher/Artist, Vin Ryan CAE Painting Teacher/Artist, visual diary by idoartkarenrobinson. Bookmark the permalink.